Music, to me, is about serendipity. An accidental meeting between circumstance and art, such that who knows where circumstance ends and art begins? And really, what does it matter? It happened. That makes it a moment worth chasing for the rest of our lives. While in college, I took a class on Proust – we burned through those seven volumes of Remembrance of Things Past in four short months, which isn’t nearly enough time to savor (or even to comprehend) his depth. Then again, I’m not sure that any amount of time – given the human lifespan – is ever enough. So much of uncovering a writer’s mysteries requires confronting our own – and a lifetime seems but too short to fully understand who we are, let alone who Proust was. Which is to say that I read a lot, but understand very little. The larger my library, the meeker my certainty. As it should be. “To legally download it!” a classmate replied, and was rewarded with a smattering of chuckles. Of course not. How could it? Music is serendipitous. The song can be replayed ad nauseam, but the music is about a moment. Some songs have many moments attached to them. For me, Frou Frou’s “Let Go” is itself a photo album of all my undergraduate angst. “New Slang” by The Shins captures the exits in my life – particularly my exit from Phoenix and from teaching in 2011. Richard Marx was the first Marx in my life, and his “Wherever You Go” conjures several memories, all of which involve me sitting in the back of our family car with my feet not touching the ground. (Who am I kidding, my feet still don’t touch the ground.) And Tracy Chapman’s “Fast Car” is about my aunt. I don’t know if it’s her song, but in my mind the song belongs to her. I think you know what I mean. Lately, I’ve been listening to several Taiwanese oldies (late 80s / early 90s). The binge started last week, when a Taiwanese song I hadn’t heard in ages came up on my shuffle: 新鴛鴦蝴蝶夢 (directly translated: New Butterfly Dream). It was immensely popular in the early 90s and continues to enjoy iconic status today. I first heard this song when I was seven years old, on my first summer vacation in Taiwan. So when I heard the song again – serendipitously – last week, I could almost smell the smoke from my grandpa’s cigarette curling in the air. I could almost see my cousin, as his 10-year-old self, running down the narrow hallway with his plastic, medieval sword in hand. I might’ve reached for a phone to call either of them, except that in the next moment, I realized neither of them would be available to pick up. But they were alive, you see. For a moment, they were completely alive. The reality seemed more false than my memory. I guess the imprint of a life lives far deeper in us than the fact of its death. One is visceral – the other, merely literal. Thus when we lose someone, they die a thousand deaths yet never really die. They live in the minor fall and major lift of a song, in the buttery crumbs of a pastry, in the perfumed hint on a sweater. These bits and pieces of us – people, places, things – wedge in half-lives under our skin, waiting for their moment to resurrect. I can neither force them to reignite, nor stop them from living again. So I’ve been listening to Taiwanese music. Oh, it’s not quite the same as that accidental, serendipitous moment when the song came on my shuffle. Nothing is quite like the first bite of a madeleine. But it helps to reminisce even if I can’t relive. And the endeavor to remember things past, to access music through a song – is one way to revisit the life that happened when I wasn’t paying attention. Music is serendipity, song is remembrance. And I like that both music and song can inspire me to phone a loved one. Sometimes, they do pick up. And music is as much in the creation of new memory as it is in the resurrection of old ones. Take this moment, for example. I’ve got the Lumineers on loop in the background, and I’m sipping green tea from an old mug, trying to avoid cutting my lip on its chipped rim. I’ve got a pile of reading around me, but for whatever reason (and there needn’t be a reason), at this moment I’d much rather pay attention to today than stress about Monday. There’s just so much richness, so much simplicity. 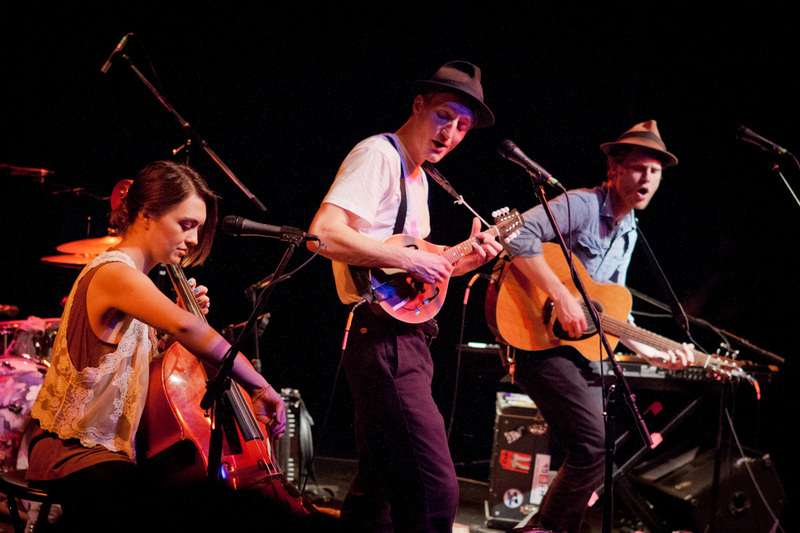 For no reason at all, for every reason in the world: I am here, and the Lumineers are here with me. It’s amazing to pay a visit this web page and reading the views of all colleagues concerning this paragraph, while I am also eager of getting know-how.